Designed for Alexander Telfair, the Telfair mansion was constructed in 1819 on the site of the former colonial Government House, the official residence of Royal Governor James Wright. Alexander commissioned William Jay, a young English architect, to design his new home. Jay had recently arrived in Savannah from England to oversee the construction of the residence of Richard Richardson (now Telfair Museums’ Owens–Thomas House & Slave Quarters). In 1875, Alexander’s sister Mary – heir to the family fortune and last to bear the Telfair name – bequeathed the house and its furnishings to the Georgia Historical Society to be opened as a museum. The Society hired German-born artist Carl Brandt to create the new institution. Working with New York-based architect Detlef Lienau and Savannah-based architect Augustus Schwab, Brandt remodeled the old Telfair home and constructed an addition to house a new collection of art. The museum opened to the public in 1886, making it the oldest public art museum in the South and the first museum in the United States founded by a woman. In 1906, Telfair Museums’ Board of Trustees asked American artist Gari Melchers to serve as the museum’s fine arts advisor and to make purchases on its behalf. Melchers accepted, and during his tenure from 1906 to 1916, he facilitated the purchase of many of the best-known works in the permanent collection thanks to his many connections to the international art world. Yet Telfair did not acquire a single work by Melchers himself until after he stepped down from his official role in 1916. Today, Mary Telfair’s unique gift to the city of Savannah has grown into an institution comprising three architecturally significant buildings, over 6,300 works of art, and a proud history of educational programming and exciting exhibitions. Mansion to Museum highlights the incredible story of the transformation of the Telfair Academy site from a home to an “Academy of Arts and Sciences.” The exhibit introduces visitors to Mary Telfair and the Telfair family, founding museum director Carl Brandt, the enslaved family who worked at the house, architects William Jay and Detlef Lienau, early artistic advisor Gari Melchers, and others. 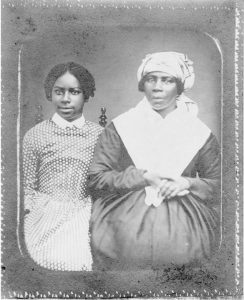 Mary Telfair’s vision for a museum in Savannah likely evolved over a period of years or decades. 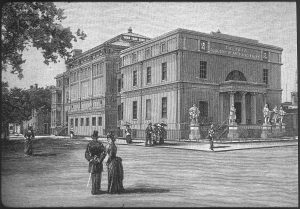 During her travels, Mary learned of many other museums in America and abroad, such as Italy’s Capitoline Museum in Rome and the Uffizi Gallery in Florence, which she visited with her sister Margaret Telfair Hodgson and brother-in-law William Brown Hodgson during their 1851 tour of Europe. 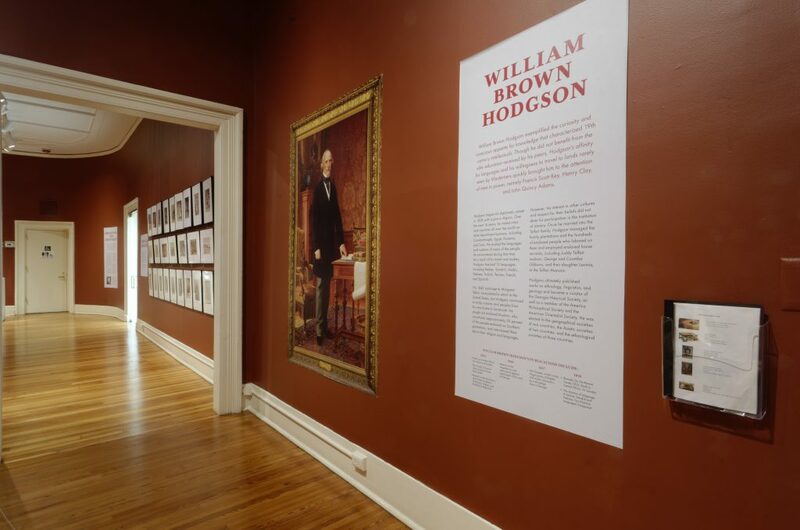 Designed by Telfair Museums’ staff, Mansion to Museum serves as an orientation gallery for everyone who visits the museum. 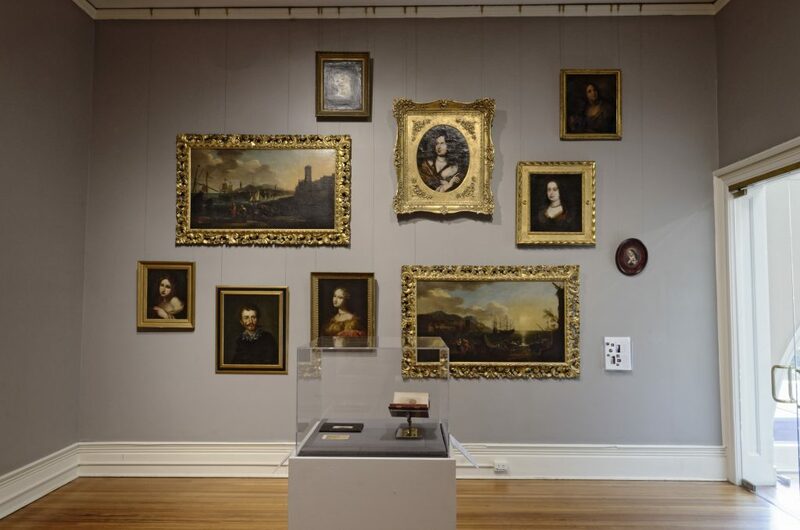 Original objects associated with the Telfair family and early museum development, including paintings, sculpture, furniture, and architectural elements, provide a visual connection to the story. 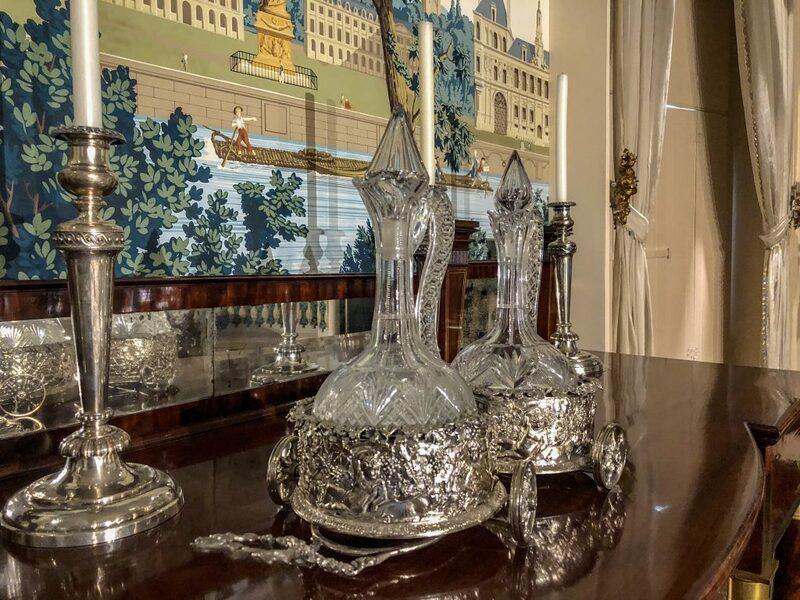 More broadly, Mansion to Museum provides context to the visitor in regard to the museum phenomenon in the late 19th century when American museums such as the Metropolitan Museum of Art (1870) and the Museum of Fine Arts in Boston (1870) and Philadelphia (1876) first opened. Tickets include a visit to each of our three sites and are valid for one week from time of purchase. Originally placed in Bonaventure Cemetery, the Bird Girl was moved to Telfair Museums for safekeeping. You can see her seven days a week inside Telfair Academy. The original Telfair mansion was completed in 1819 and included a reception room, dining room, drawing room, bedrooms, kitchens, cellar, and other service rooms on the basement level. On the exterior, Jay designed a symmetrical façade with a central porch supported by four columns with cast stone capitals. 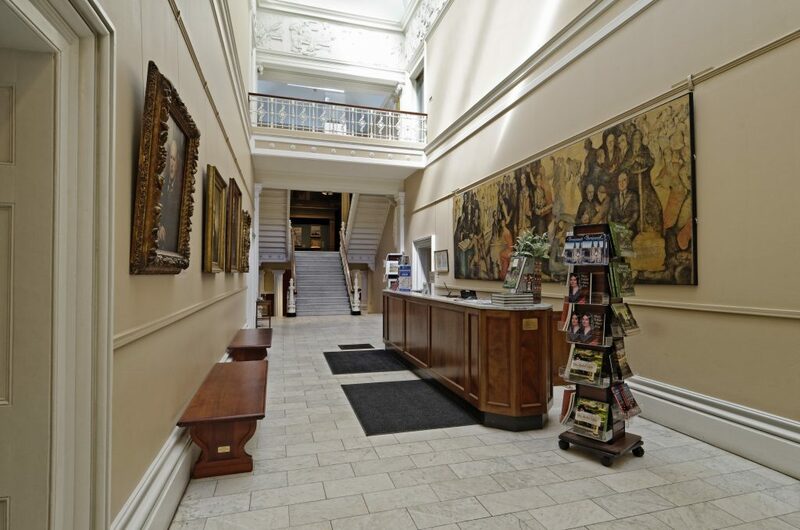 On the interior, the public rooms were placed on either side of a grand entrance hallway and staircase. 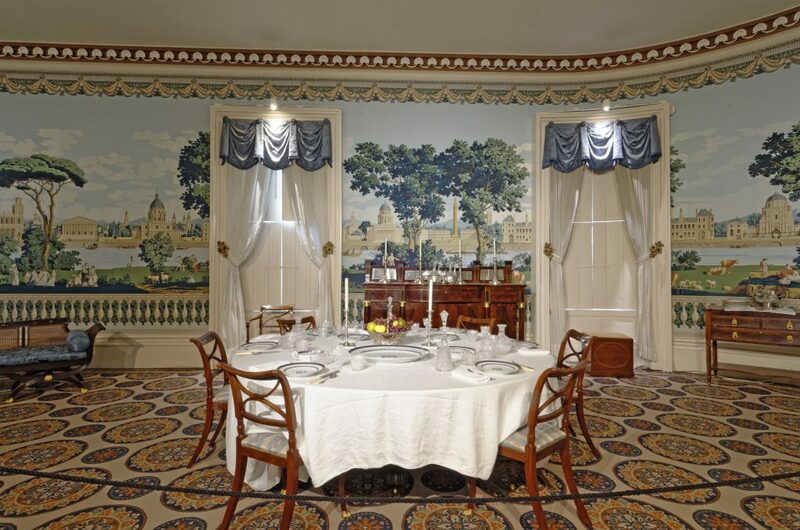 Three interior rooms, the dining room, the kitchen, and the reception room, have been restored to reflect the era of Alexander Telfair. 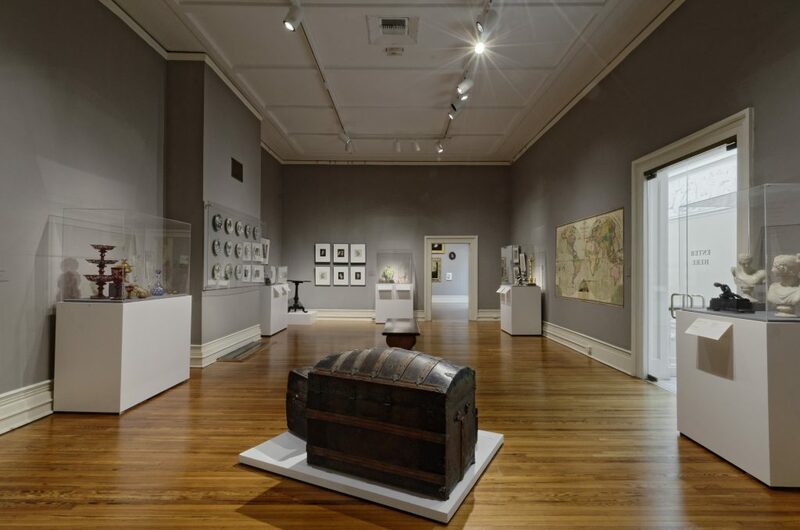 Today, the Telfair Academy includes the spacious Rotunda Gallery and Sculpture Gallery, which were part of the 1883–1886 addition built when the Telfair family home was converted into a public art museum. 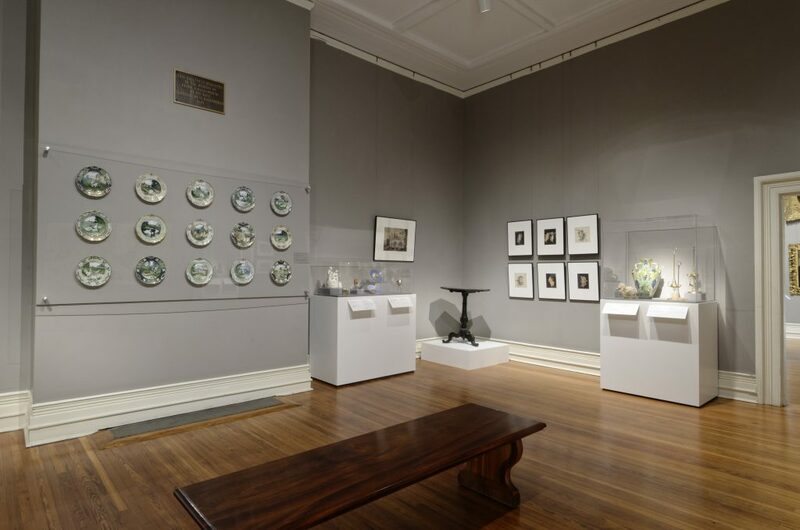 The Academy also features four intimate upstairs galleries featuring exhibitions drawn from Telfair’s own permanent collection of fine and decorative arts. 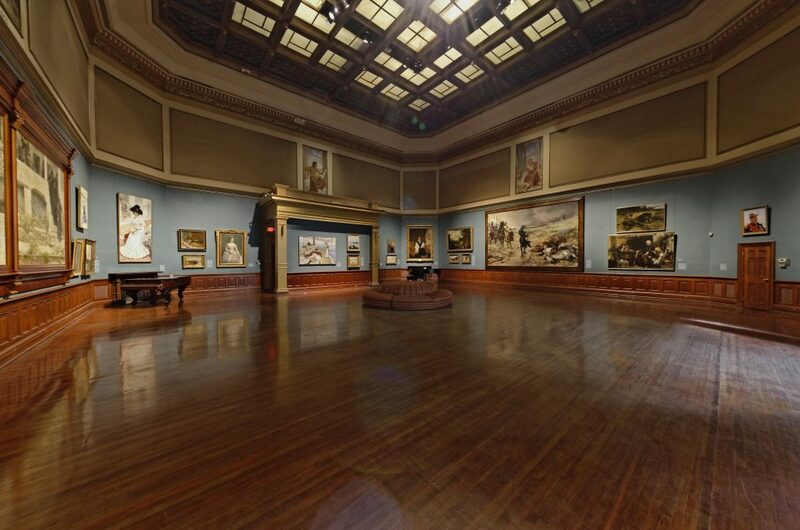 The Rotunda Gallery reflects the vision and taste of three important figures in the museum’s early history: Telfair’s first director, Carl Brandt (1831–1905); the architect of the space, German-born Detlef Lienau (1818–1887); and Gari Melchers (1860–1932), the museum’s fine arts advisor from 1906–1916. 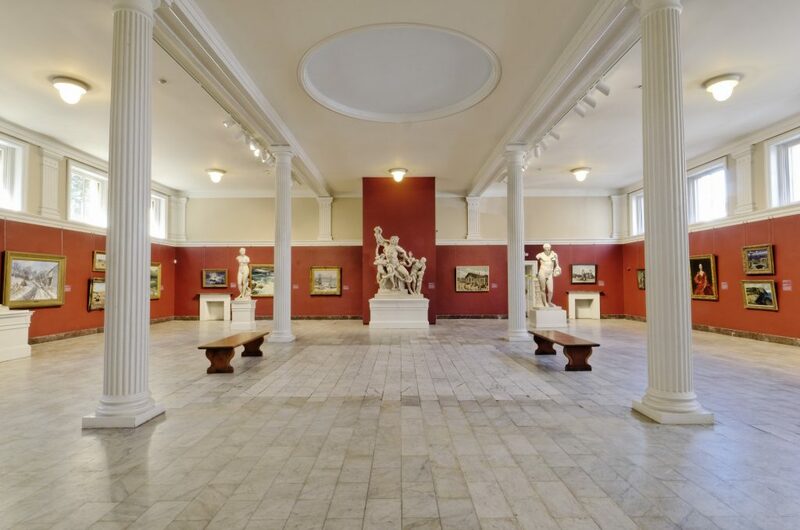 The Rotunda Gallery and the Sculpture Gallery are the result of an 1883–86 renovation that transformed the Telfair mansion into an art museum. Brandt worked with Lienau to design the Rotunda, which evokes the grandeur of a 19th-century European salon. Brandt also created the four murals on view in the upper register of the gallery. These depict the great practitioners of the four primary art forms according to Brandt: Apelles, painting (west); Iktinus, architecture (north); Praxiteles, sculpture (east); and Albrecht Dürer, printmaking (south). The fact that three of these artists are ancient Greeks reflects the late 19th-century reverence for classical art and culture. Part of the 1883–86 addition to the Telfair mansion, the Sculpture Gallery features classical architectural elements including four Ionic columns and clerestory windows punctuated by pilasters. Originally, a skylight placed in the center of the gallery’s ceiling transmitted light from the Rotunda above. The initial decoration of the Sculpture Gallery featured murals created by Carl Brandt of important archaeological sites that were installed in the panels between the windows. The museum’s collection of plaster casts, which lend the Sculpture Gallery its name, are copies of famous Greco-Roman sculptures. Brandt originally ordered over 70 of these casts from major museums in Europe. Presented on the same scale as the original works, the casts were important to early Telfair Academy art students who sketched them as a critical step toward mastering life drawing. More importantly, the casts allowed the people of 19th century Savannah to appreciate the great works of Greco-Roman civilization without ever leaving home. Today, the Sculpture Gallery primarily displays works from Telfair’s permanent collection, many of which were purchased by Gari Melchers. Highlights typically on view in this gallery include Childe Hassam’s Brooklyn Bridge in Winter, Frederick Carl Frieseke’s The Hammock, George Bellows’ Snow-Capped River, and Robert Henri’s La Madrileñita. These works illustrate the primary strengths of Telfair’s permanent collection in American impressionism and Ashcan School works. 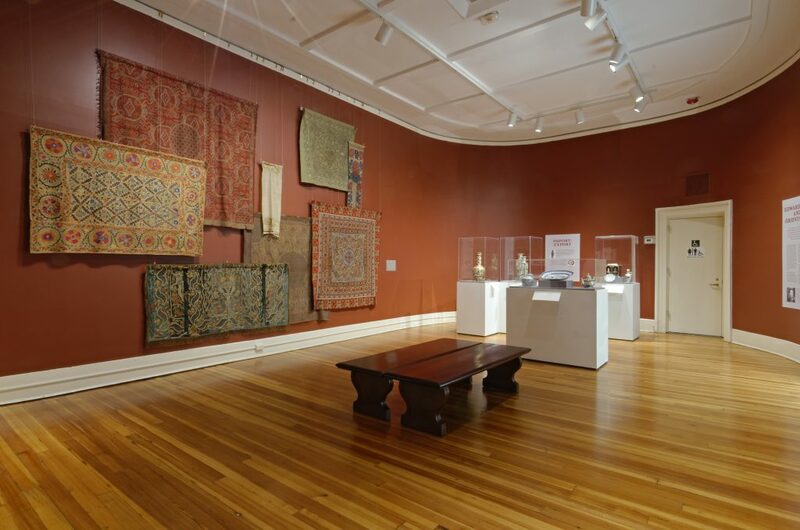 Originally Telfair family bedrooms, these spaces were modified in the 1880s to serve as galleries. The original windows and fireplaces were covered by walls suitable for hanging paintings. 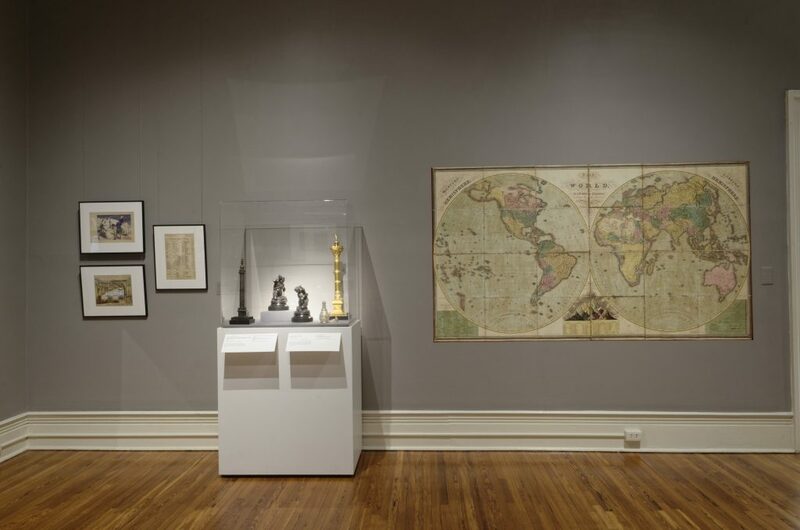 Today, these galleries display work from the Telfair’s permanent collection and temporary exhibitions. 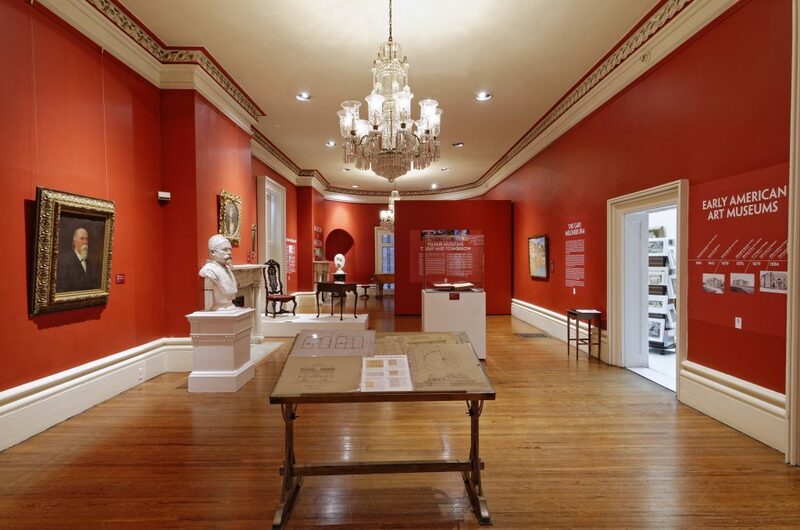 The museum’s entrance hall bears little resemblance to the hall of the original Telfair house. A guest visiting the Telfairs would have entered through a small vestibule with an illusory domed ceiling and doors leading to the Octagon Room on the left and the double parlor on the right. Continuing into the hall, the visitor would have seen a double staircase, a landing, and a single stair leading to the upper level. In the 1880s, the entrance hall was opened up to allow public groups to more easily enter what was once a private home. The original staircase was removed, as was the original octagonal skylight. Pine floors were covered in marble, and a marble staircase was installed at the end of the entrance hall leading to the upstairs bedrooms (also altered) and the new addition. The upper part of the entrance hall was originally open in the center with walkways on either side leading into the Telfairs’ bedrooms. This octagonal reception room was used by Alexander Telfair for greeting friends and business acquaintances, and later by sisters Mary and Margaret Telfair as a sitting room. Although the Telfairs referred to this as the “Oak Room,” the walls are actually made of plaster that has been painted and grained with various tools to look like wood. The neoclassical decoration and furnishings reflect the tastes of both William Jay and the Telfairs. The British-made chandelier in the room is the only original lighting fixture in the house. Alexander’s estate inventory listed a Brussels carpet and hearth rug in the room. Neoclassical elements include the Greek key design and acanthus leaf motif, found in the period reproduction carpet and the original plaster ceiling medallion. The giltwood curtain rod, carved to resemble acanthus leaves, was a furnishing of the Jay-designed Archibald Bulloch house (destroyed 1916). 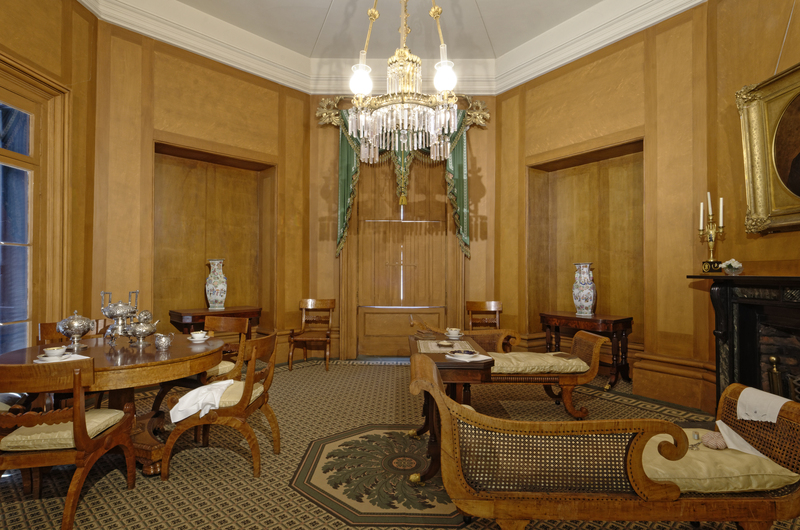 The Telfairs’ suite of maple furniture, made in Philadelphia c. 1810, includes two Grecian couches, a round center table, and 15 side chairs. 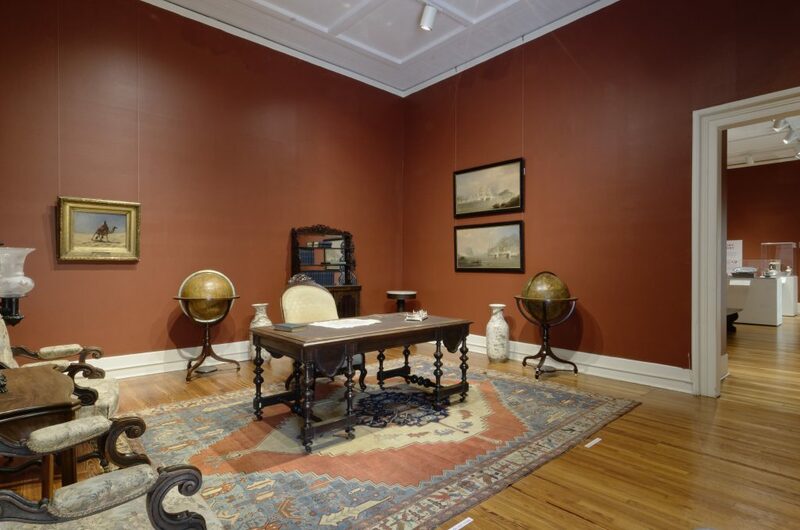 The globes, one terrestrial (the earth) and one celestial (the heavens), belonged to Alexander Telfair. His portrait, probably created after a miniature, hangs above the mantle. The entrance to the Dining Room was located behind the original (now removed) staircase, directly above the kitchens. Original features include matching fireplaces of white Italian marble, window moldings, and the doorway by which the room is entered. Restoration revealed that the Dining Room had originally featured two chandeliers that would have been centered on plaster medallions. The recreated medallions were adapted from the surviving example in the Octagon Room. Paint evidence indicated that the plaster cove ornament near the ceiling was painted a chocolate-brown color while the decorative relief was whitewashed. The ornaments were recreated as an anthemion pattern similar to that found in Jay’s Owens-Thomas House. 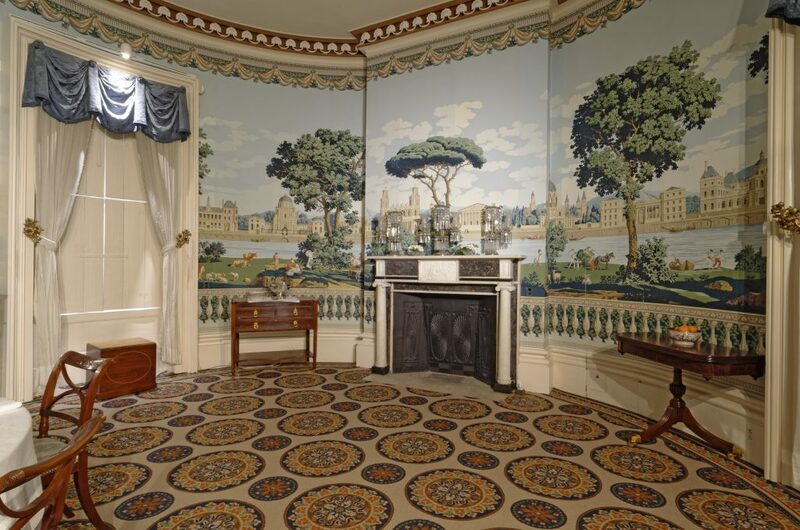 Because the Dining Room’s original plaster walls had been removed, the museum installed a wallpaper appropriate to the period. This woodblock-printed paper, The Monuments of Paris, designed and created by Joseph DuFour in Paris during the early 1800s, was available in Savannah as early as 1817. Furnishings include a New York sideboard attributed to Duncan Phyfe and a dining table by Thomas Cook of Philadelphia. Originally, the Drawing Room was a double parlor used for entertaining, with pocket doors separating the front and back sections. Furniture would have been arranged symmetrically along the walls and drawn as needed. For example, small groupings could be created for ladies’ tea, card games, or conversation. Large pieces such as tables and sofas were provided with casters for ease of movement over the floor, which was originally carpeted. The window between the two fireplaces is not original and marks the area where pocket doors separated the room. 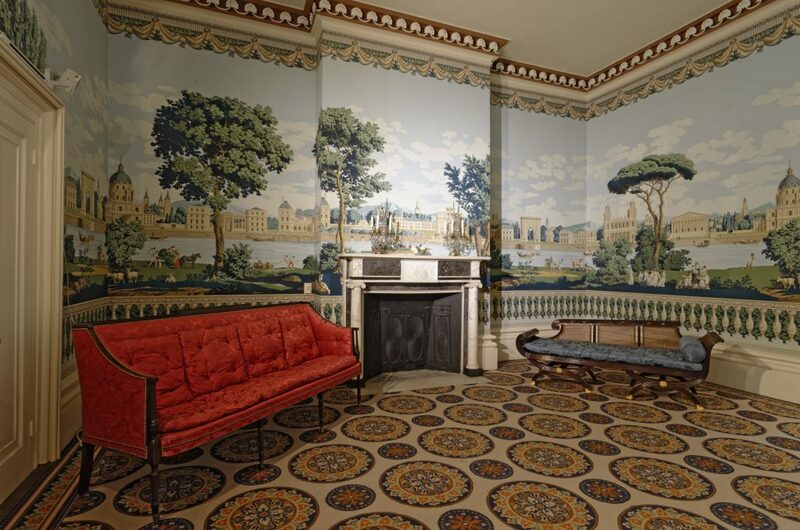 Both mantles in the room were carved in the workshop of noted New York sculptor John Frazee. The mantle at the west end of the Drawing Room is carved with a pastoral scene inscribed “The Shepherd Boy,” while the east mantle features a carving on the theme of the “peaceable kingdom.” Other works often on view include marble portrait medallions of Mary and Margaret Telfair. 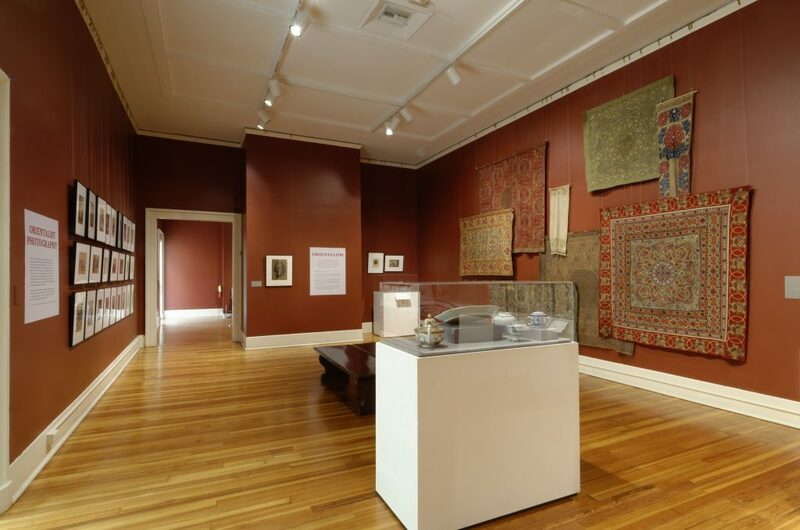 When the mansion became a public art museum in the 1880s, the partition and pocket doors were removed to create a larger gallery, which today is used for the Mansion to Museum exhibition. 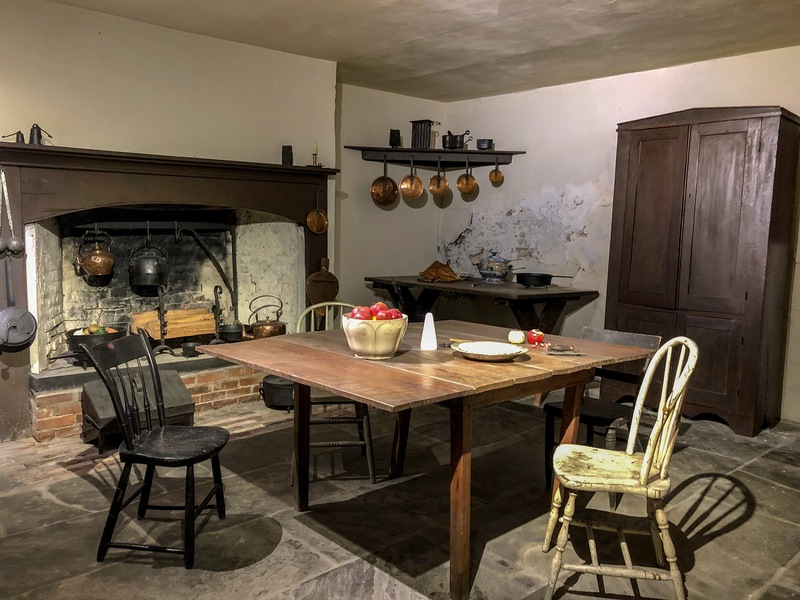 The kitchen was restored and opened to the public in the 1920s, and is the only original service room of the Telfair mansion that is currently on view. Dating back to 1819, this kitchen features the original hearth and double oven. The space was primarily occupied by Juddy, the Telfair’s enslaved cook. When the Telfairs traveled to Europe in 1841, they leased Juddy, along with her daughter Coomba and son-in-law George Gibbons, to the Habershams. Juddy is pictured here with Lavinia, George and Coomba’s daughter.